Parents and pupils took part in a protest outside County Hall yesterday objecting to the proposed closure of the Isle of Wight Studio School. The fight to save an Isle of Wight school was taken to the steps of County Hall this week. 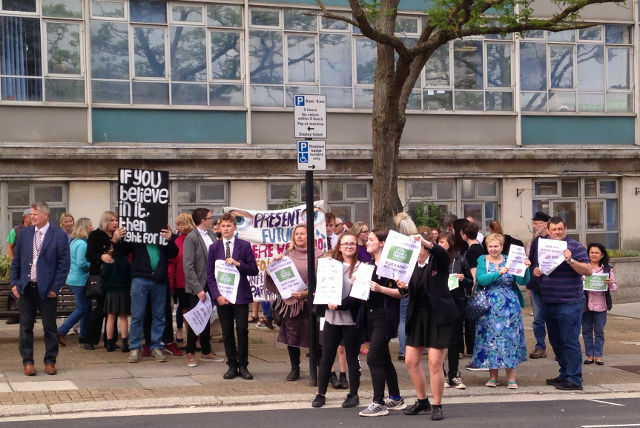 Angry parents, students and councillors took their battle to the corridors of power with a protest ahead of Wednesday’s full Isle of Wight Council meeting. Inspire Academy Trust claims the school is not financially viable, but parents — and even its head teacher — believe the school has a future. Parent Andrea Grieve has one son at the school and her middle son was due to start in September. “Since joining the school in Year 10, he was failing to thrive. “He was at the lowest of the low due to bullying issues at his previous school. “Academically he had coasted for three years, he hadn’t made any progress at all. “The Studio School embraced all of his skills which were very practical — he’s a very practical learner. East Cowes ward councillor Karl Love said the school provided a different type of education for young people. “What we really need to hear from this council is they support and they encourage the school. 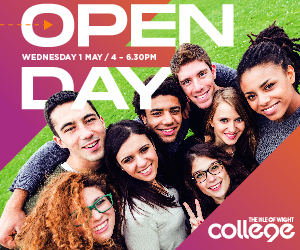 “We are not after any money; we don’t need any money because this is a high performing school with a huge amount of support from the Chamber of Commerce and from the technology group of the Isle of Wight. “It’s the only school on the Island that does things differently so I think it would be a real shame for it to shut down. “My school wasn’t made for someone like me, I wanted to do things and get out there and that’s why the Studio School is a great experience for me. The campaign was started by parents Amy Lockwood and Sharon Lake. “I think it’s really important to understand that although the trust is saying the school isn’t supported by families on the Island that’s not the case — Years 10 and 11 are nearly full. 2 Comments on "Pupils and parents protest against Studio School closure"